During your au pair stay in Chile you will have many opportunities to explore Santiago, the country’s capital. From the generous parks to the busy streets in the different barrios, most of the life takes place outside during the summer months. Even if it does not get too cold during the winter months, you can take the opportunity to finally explore Santiago’s diverse museums and cultural centers. Santiago surprises with a multitude of museums that cover a wide range from historical to visual art to the memory of Pinochet’s reign of terror. 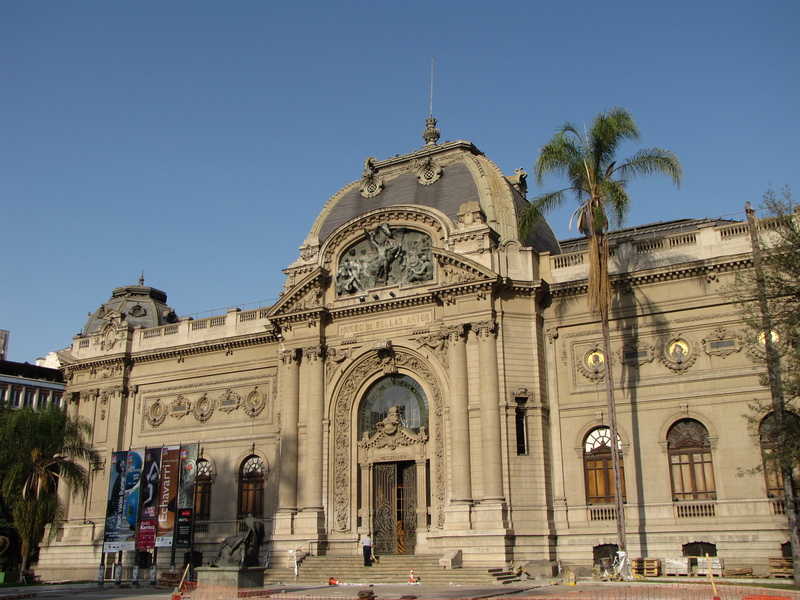 Starting with its large collection of Chilean and South American art, the Museo Nacional de Bellas Artes is one of the most important art museums in Latin America. Not only from the inside, but also from the outside an eye-catcher: Built in 1910, the palace was built in Baroque and Art Nouveau style and is certainly one of the most beautiful buildings in Santiago. The Museo Histórico Nacional gives you an insight into the history of Chile from the Pre-Columbian era to the 20th century. Here you will find everything from historical clothing to paintings, coins and much more. The Museo Nacional de Historia Natural de Chile is one of the oldest natural history museums in South America and was founded in 1830. With the Museum Bellas Artes and the Museum Histórico Nacional, it is one of the three state national museums in Chile and offers a large collection of exhibits of the diverse flora and fauna of Chile. If you are interested in ancient cultures of Latin America and their history, you are in the right place at the Museo Chileno de Arte Precolombino. It houses a comprehensive collection of artifacts, statues and sculptures from Central and South America from before European discovery. Changing exhibitions of Chilean artists can be found in the Centro Cultural Gabriela Mistral (GAM). It also offers various activities and regular performances and a visit is always worthwhile! The Centro Cultural La Moneda or Centro Cultural Palacio La Moneda (CCPLM) is a cultural center in Santiago de Chile, which hosts several exhibitions and collections highlighting the Chilean culture. Here you get an insight into the modern life of Chile, the great artists of the country and Chilean movies. At the MAVI – Museo de Artes Visuales you will find visual and modern art. In addition to the various exhibitions, the museum also offers activities and educational programs to promote interaction with the artworks. Have you heard of Pablo Neruda? This world-famous Chilean poet and writer fought against fascism in Chile and Spain and left behind La Chascona, one of his houses filled with art, decorations and artefacts, offering an insight into his life. The Museo de la Memoria y los Derechos Humanos gives you an idea of Pinochet’s dictatorship and reign of terror through documents, photographs and other exhibits.